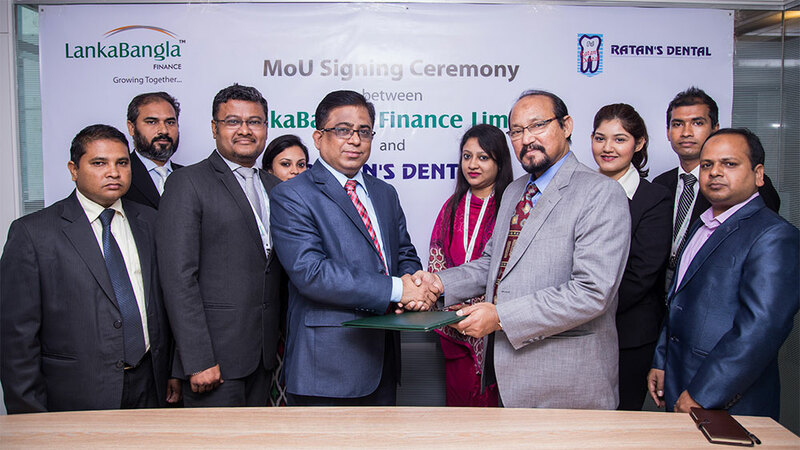 LankaBangla Finance Ltd (LBFL) recently signed a MoU with Ratan’s Dental for its customer privilege. Khurshed Alam – EVP & Head of Retails Finance & Dr. Syed Tamijul Ahsan Ratan – Chief Consultant & Managing Director of Ratan’s Dental signed the MOU for their respective organizations. Under this MoU LBFL Cardmember will get up to 6 months EMI on 0% interest under 0% ezypay scheme from all outlets of Ratan’s Dental. Syeda Aspia Ahsan Meem – Director of Ratan’s Dental and Md. Nurul Huque Manik – Head of Cards and Khaja Wasiullah – Manager, Credit Card of LBFL and other officials of both organizations were present at the signing ceremony.